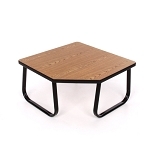 Sled base steel frames are strong and stable, and the smooth black finish resists scuffs. The fabric is treated to resist stains. 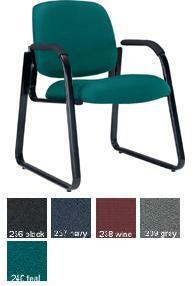 The generous, firm foam seat cushion makes for a durable chair in high-use environments. Easy assembly. Dimensions: 30" x 24" x 12"